Our Lady of Mercy Catholic School is an exciting place to be, due largely to the variety of activities on our campus. This section will keep you updated with news items, important dates, and the weekly Mercy Memos, Look through photo galleries that recap recent events. 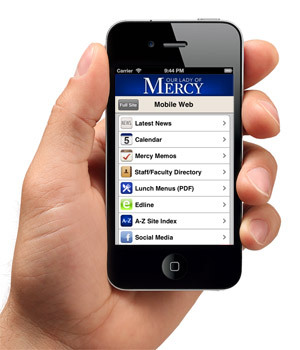 Also, be sure to follow Our Lady of Mercy using your mobile phone or tablet. Our MobileWeb version of olomschool.org lets you follow us in a mobile friendly format when you're on the go.